"tell me what,,, tell me what's your favourite colour... tell me your favourite colour.."
If you have hung out with me within the last week or so, you have definitely heard me singing this song. This song just got stuck in my head for what, like 2 weeks now? I listened to this song at my friend's place and he was singing this song.. Since then, it got stock in my head!!! Very catchy song. yes,, I am blaming on you, sir!!! 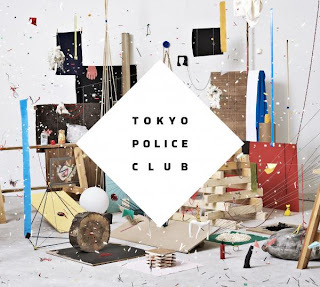 To be honest though, I wasn't a big fan of the Tokyo Police Club when the first album came out. It just sounded like another "indie"band, who is trying to target the teenagers with such catchy songs for big $$. Yeah, we all know how the music industry works eh? so I didn't really dig into their music. However, they came out with the second album, " Champ" 3 weeks ago with very different outlook. I decided to buy songs from iTune ( Trust me, I am not a digital person usually, I usually like to get the tangible item, with the fancy CD jacket.. umm old school). 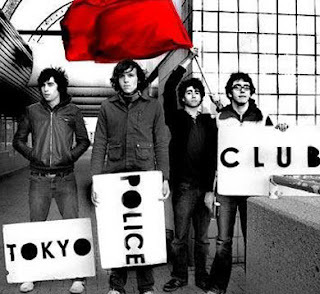 I can certainly say that this band has stepped out from the category of "indie' bands for teenagers. Their sound as a band is very stronger and songs are definitely playful. I think this band would be very interesting to keep eyes on as the Toronto-based band is growing up rapidly in terms of their song writing skills and performance. I would love to see them in lives, however, they are coming to Toronto with flaming Lips and Spoon, which means that the pricing for the ticket is insane... umm, still debating though.. I love the song ' favorite colour" and "Boots of Danger (Wait up)" from the new album. very catchy! Both songs are great for jogging by the way, lol I should have a posting about the best 10 songs for jogging eh? who is up for it!